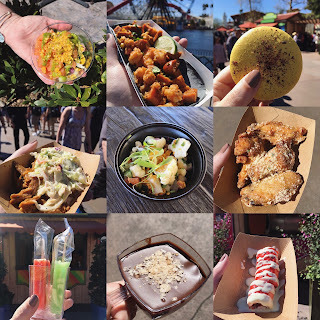 Did you know Disneyland is fabulous when it come to guests who are gluten free or have food allergies? 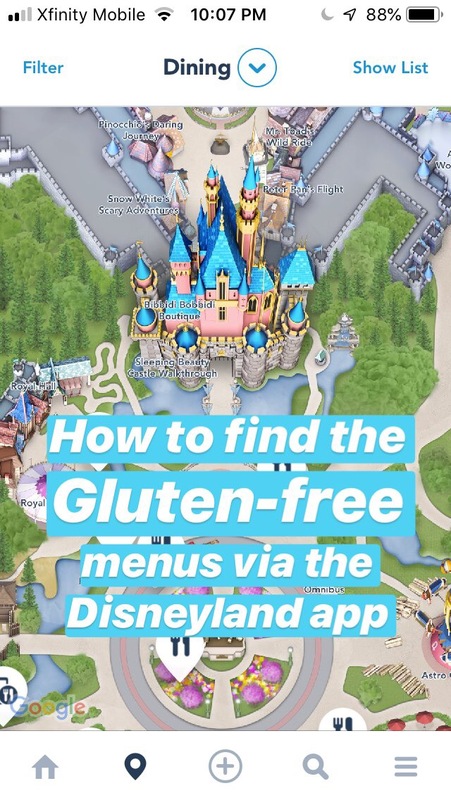 In the past it was difficult to find the gluten free menus to help prepare for your trip to Disneyland. 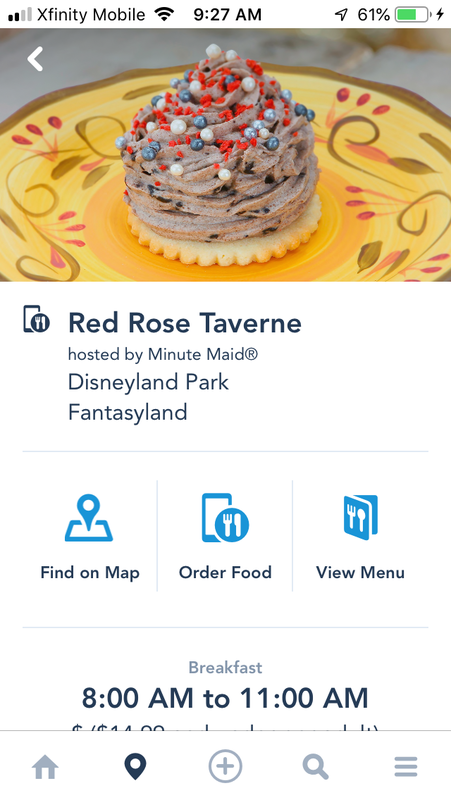 With the digital age Disneyland has made it easier by making some of the food allergy menus available in the Disneyland App. 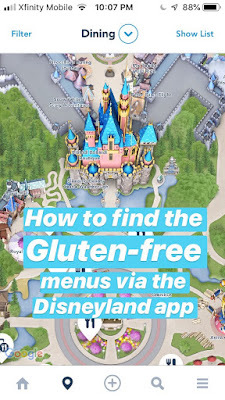 In this article I will show you how to find the gluten free menus via the Disneyland App. 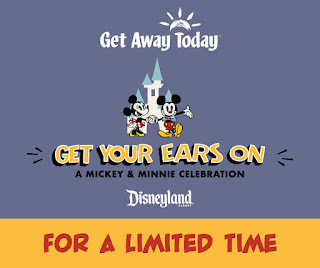 First off you will want to go to your App store and Download the Disneyland App. 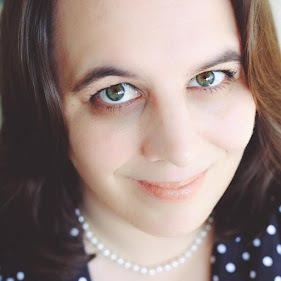 For this article I will be using screenshots from an iPhone (it might look slightly different for android phones). 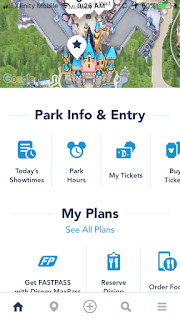 After you download the app I believe you will need to sign into your Disney account or create one. Once you open the app, you will want to click on castle/map (located just above Park Info & Entry). 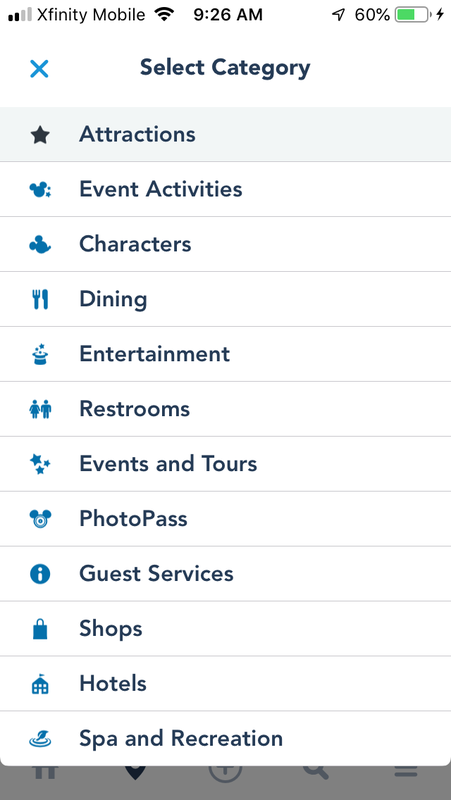 Next tap on the drop down menu at the top of your screen; select the Dining category. 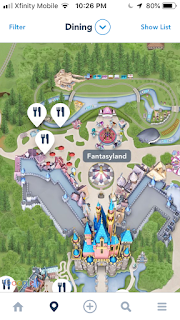 Then it will bring you back to the map in which you can move around to find the area of the Park you would like to find food. The food establishments will be marked with a fork & knife. 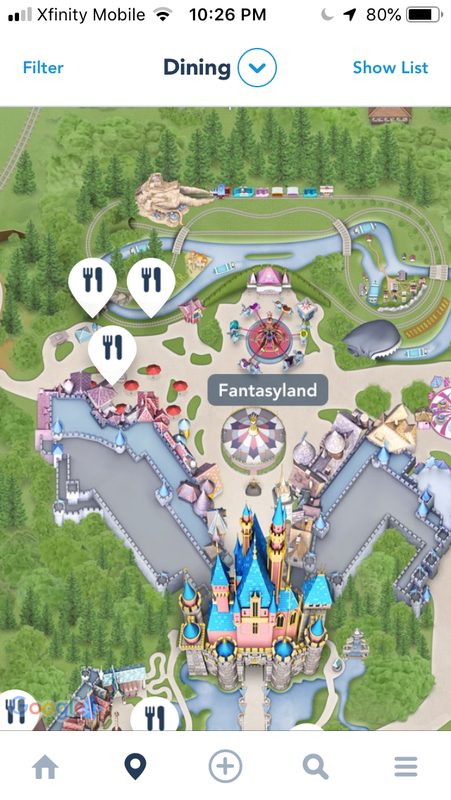 *Alternative option is you can select Show List and you will have a list of all establishments to choice from instead of scrolling on the map. This is helpful if you know the name of the restaurant but not sure where it is located. 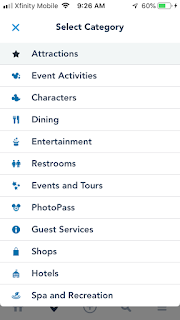 Once you tap on the fork & knife it will tell you the name of the restaurant, you can now click on it to see the menu. The menu will be located on the right, next to mobile ordering (if the location offers mobile order). 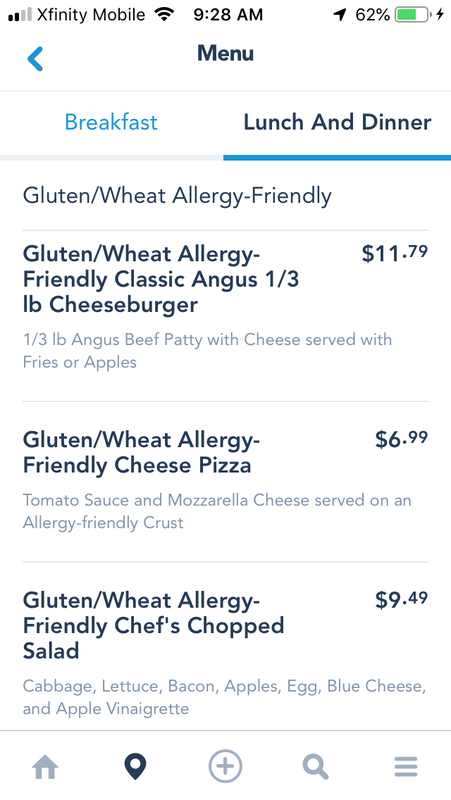 Once you select menu, you will then need to scroll down through the menu until you reach the Gluten Free Menu. 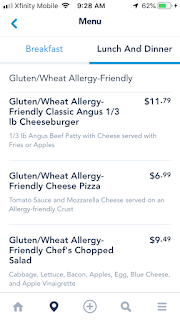 (this step is a bit tedious and not all establishments have the allergy menu online). 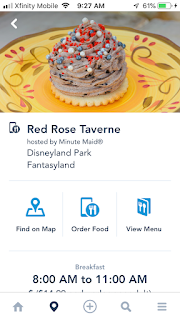 If you want to learn more about Mobile Ordering gluten free I suggest reading my previous article Mobile Ordering at Disneyland gets an Update.